Is your workplace prepared for an Emergency Evacuation? Security and safety in our workplaces, schools and public buildings are a higher priority than ever before. The uncertainty that can surround us is seen in the news everyday. Our schools and workplaces should be sheltered from potential hazards by the implementation of up to date emergency preparedness plans. 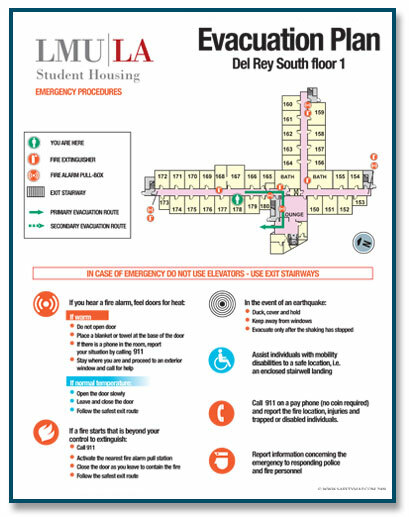 Safety Map would like to help reduce your risks in the event of an emergency. Please contact us today! "Safety Map® continues to provide a quality product that helps enrich our compliance efforts and commitment to a Safety First culture within our organization. The quality and timeliness of the evacuation maps they provide enable our company to meet the ongoing challenge of managing diverse locations throughout the USA. Safety Map is value-added and truly an asset for any organization looking to enhance safety requirements for long term impact."